Generally speaking, when a victim suffers some sort of personal injury, he or she has a limited window of time in which to file a claim against those who are responsible. In Nevada, this limited window of time is legally referred to as the statute of limitations, and the statute of limitations varies in length based on the type of personal injury claim that is being filed. The purpose of a statute of limitations is to encourage victims to take legal action and seek recovery sooner rather than later, and the statute of limitations also protects possible defendants from being sued many, many years after causing someone an injury. If a personal injury claim is not brought within the statute of limitations, the injured victim is barred from seeking recovery on the claim. The Nevada civil courts cannot—they lack jurisdiction to—hear the case because the victim plaintiff was too late in filing. The car accident personal injury claim is time barred and no recovery can be sought. Even if a victim does file a car accident claim after the statute of limitations has lapsed, the defendant in the case will ask that the case be dismissed and the court must oblige. What is Nevada’s Statute of Limitations for Car Accident Personal Injury Claims? In Nevada, the statute of limitations in which to file a personal injury claim for injuries sustained as part of a car accident is two years from the date of the accident, according to NRS 11.190(4)(e). This means that if you are hurt in a car accident, you have two years from the date the accident occurred to bring a lawsuit. If someone you love was killed in a car accident, you have two years to file a wrongful death claim. There is a separate statute of limitations for property damage in Nevada. If your vehicle suffered damage in the accident, then the statute of limitations for your injury to property claim is three years long, spanning from the date of the accident. You must file your property damage claim within the three-year statute of limitations in order to recover damages in civil court for any property damage that was done to your vehicle during the accident. Anyone who has suffered physical injury or property damage as a result of an automobile accident needs to consult with an experienced Nevada car accident lawyer as soon as possible. You should not delay in filing your personal injury or property damage claims after a car accident because there is a statute of limitations on your claim. You need to seek damages as soon as you can after a car accident in order to preserve your rights. Please give our office a call. 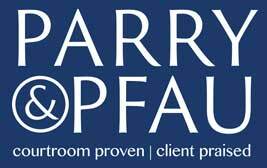 The team at Parry and Pfau is happy to schedule a free initial consultation with you. Older PostIs it Legal to Own a Pet Fox?